Steve Jobs, who presented iCloud during his final keynote at 2011’s Worldwide Developers Conference, died prior to the service’s launch. iCloud essentially replaced Jobs’ vision of the digital hub, which focused on the Mac for centralizing media from other devices and syncing various Apple gear. The concept worked well for close to 10 years, although the writing was on the wall the moment Apple introduced the iPhone in 2007. The iPhone was no straightforward peripheral to be plugged into your Mac. Instead, it was a constantly connected internet-enabled device that, for many users, replaced their need for a PC. From 2008, Jobs’ vision for a digital hub gave way to one based on cloud computing. Apple’s first attempt was a 2008 product called MobileMe. The company charged $99 per year to store address books, documents, images and more in the cloud, and then distribute the data to other devices. The problem? MobileMe proved horribly unreliable. Saying MobileMe “tarnished Apple’s reputation,” Jobs scrapped the disastrous service. Then he gave Eddy Cue a new job overseeing the entirety of Apple’s internet content. iCloud emerged from the ashes of MobileMe. Jobs joked that iCloud essentially performed like a big hard disk in the sky. Of course, it was much more than that. A step up from MobileMe? Receiving somewhat mixed reception over the years, iCloud is not one of Apple’s unequivocal successes (although it’s certainly better than MobileMe). 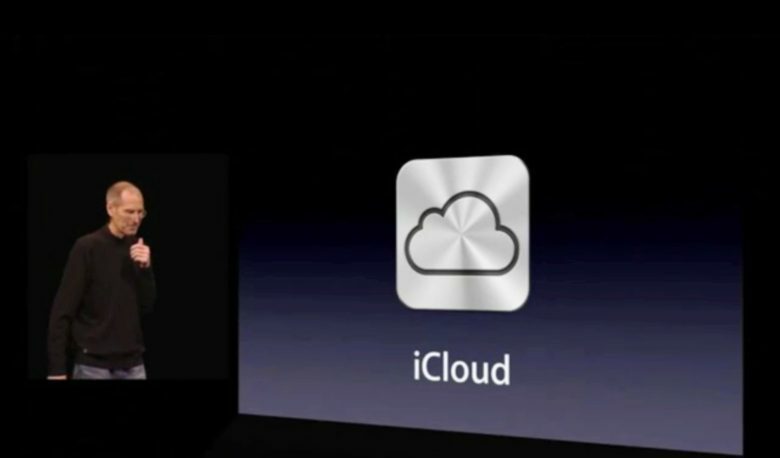 The company continues to develop iCloud and iron out various bugs. Earlier this year, it was reported that Apple is planning to bring its iCloud data services in-house rather than continuing to rely on Amazon Web Services. Much like Siri — Jobs’ other pet project during the last year of his life — iCloud plays an increasingly large role in Apple’s current plans. From getting iTunes songs on all your Apple devices to the centrality of iCloud Drive, which previously worked a bit like an Apple-branded Dropbox, iCloud can be seen throughout macOS today. As Apple continues to embrace its “wireless future,” iCloud will only play more of a role in Apple’s plans. Do you use iCloud? If so — or if you’ve ditched it for another service — what’s your appraisal of it? Leave your comments below.